Ethan Reichenbach is the lead agent in the President-Elect’s Secret Service detail. He expects to spend the next four or eight years being shadowing the man just elected to live in the White House. What he did not expect is to become the new President’s friend. Nor did he expect to develop a crush on the man in the first few months after they move to Washington. Doing so would break so many Secret Service rules and would be grounds for dismissal. Not to mention that the President is straight. This breaks Ethan’s personal rules of never getting involved in a relationship and never falling for a straight man. Jack Spiers has spent the fifteen years since his wife’s death in combat in public service. Focusing on veterans and their families, he has held several posts in Washington. Having been elected President should be the pinnacle of his career. But having lost his wife a long time ago, Jack finds the office lonely. He turns to his lead Secret Service agent for friendship, which Ethan is hesitant to give at first. However, as their friendship develops, Jack is surprised when one night Ethan kisses him. To say that Jack is surprised would be an understatement. As the two put distance between them, Jack still wants Ethan to be his friend. But Jack begins to realize that he has feelings for Ethan as well. He wants to find a way to make this work. Against this backdrop, Jack is still President. He must deal with a world that has basically gone to hell in a handbasket the last ten years. With China and Russia both occupying countries and the Islamic Caliphate causing trouble both in the Middle East and around the world through terror attacks, Jack has his hands full. However, the real trouble might be right under Jack’s nose. An American general is working with agents in the Middle East to bring about even more instability to a region already at war. 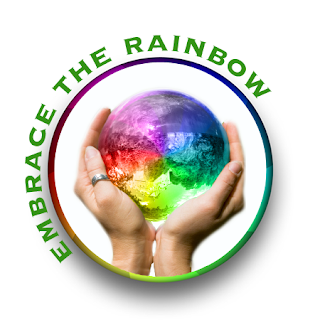 As Jack works toward bringing peace to the world, there are others who are trying to insure that he does not succeed. Ethan must work to protect the man who is not only the President but also his lover. In order for a political thriller to work, the premise behind the book must work. Set approximately 10-30 years in the future, Enemies of the State describes a world that could possibly exist at that time. The Islamic Caliphate (ISIS/ISIL) has grown bolder with the passage of time, as has Russia with their land grabs. The English, French and Germans are battle weary after numerous terrorist attacks. Into this world, Jack must try to bring all sides together to prevent the start of World War III. The other part of a good political thriller is the romance. I loved the slow building romance between Ethan and Jack. Ethan, the gay Secret Service agent, knows that a relationship with Jack is wrong on so many levels. But are the signals the President is sending him real? Jack is alone in the White House and needs a friend. What could be wrong with that? They begin to learn about each other as they work through their own problems with this relationship. I look forward to see where the next book goes with both this relationship and the various subplots that are left unresolved. The cover art by Aria Tan shows Ethan and Jack above the Washington skyline. It is a fitting cover for the book. 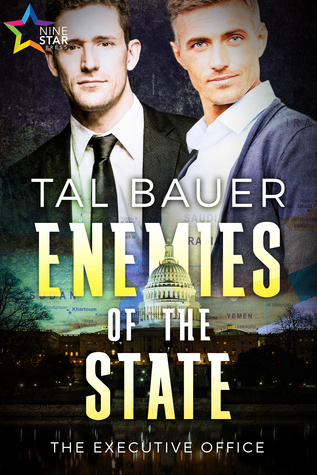 This entry was posted in 5 star Rating, Book Reviews, Books, Contemporary fiction, eBooks, LGBTQ Book Reviews, M/M Book Reviews, M/M Contemporary Fiction, M/M Fiction, M/M Romance and tagged A Paul B Highly Recommended Novel, A Paul B Review, author Tal Bauer, Enemies of the State (The Executive Office #1) by Tal Bauer, gay fiction, m/m action suspense, M/M political thriller, NineStar Press. Sedonia Guillone reveals the breathtakingly amazing cover art of her upcoming book titled Acts Of Passion. It releases on January 15, 2016. Yes, Green wouldn’t have to worry any longer about his inability to face the world. Not after tonight. He was going out the way a man should. Sedonia welcomes comments from readers. You can find her website and email address on her author bio page at http://www.sedoniaguillone.com. One lucky commenter will win an e-copy from Sedonia Guillone’s backlist. ( Must be 18 years of age or older to enter. Leave an email address where you can be reached if chosen.) Simply tell us what you think of the cover and the book in order to enter this contest. This entry was posted in Book Giveaways, Book Reviews, Book Tours and Contests, Books, Contemporary fiction, eBooks, LGBTQ Book Reviews, M/M Book Reviews, M/M Contemporary Fiction, M/M Fiction, M/M Romance, Self Published and tagged A Creative Minds Blog Tour and Contest, Acts of Passion by Sedonia Guillone, author Sedonia Guillone, Cover Reveal for Acts of Passion by Sedonia Guillone, first in a series, m/m action suspense. 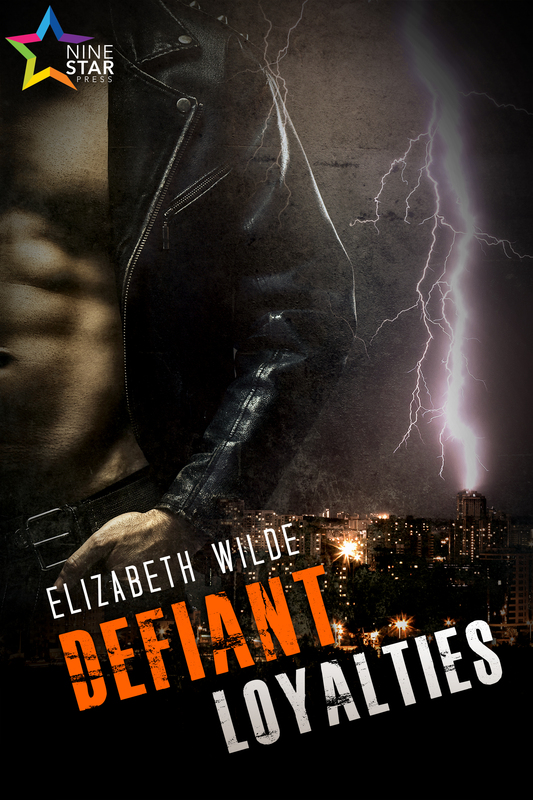 Scattered Thoughts and Rogue Words is happy to have Elizabeth Wilde here today to talk about Defiant Loyalties and tell us a little bit about herself and the writing experience. Welcome, Elizabeth! Hello! I’m thrilled to be here for my very first ever guest post/novel/you name it. Defiant Loyalties is my debut. It’s not every day—or any day—you get to reach out to people like this, so whilst I was scrabbling to come up with something interesting to say, a thought struck me. Quite simply, I’m petrified! I never expected the actual writing of this book to be the easy part. Defiant Loyalties is the story of Jack Preston, the son of a corrupt politician, as he fights for the things he deserves: love, freedom, peace of mind. He’s thrown headlong into the world of mysterious assassin Alex, often by his own stubborn and curious nature, and together they must navigate the colliding of those worlds, the risks they’re willing to take. Now I am no Jack Preston, but I feel a little thrown headlong into a new world myself—my own stubborn and curious nature notwithstanding. Going from a fairly unassuming job to publishing something feels like a huge step. So huge, in fact, that I still can’t buy it, even though it’s happening to me right this minute. The other day someone told me I seemed surprisingly nonchalant about the whole affair. Apparently, I have an amazing poker face because what I’m actually experiencing is more akin to internal silent terror—with a touch of excitement, which comes and goes depending on the day. It’s a strange combination, like riding up the chain of a rollercoaster, approaching that first hill. Surreal and out of your control, the only way forward is barreling down at eighty miles per hour screaming. Perhaps that’s a good thing, though. This awestruck fear keeps me appreciating this opportunity, remembering that nothing is ever certain in this world, and that when good things come along, to grab on with both hands and make the absolute most of it. All Jack Preston has ever wanted is freedom: from his father’s oppressive political reign, from his mother’s dying memory, from his own guilt in the part he’s played to get George Preston to the top. When an assassination attempt is made on his father’s life, Jack is thrown into a dangerous game of lies and espionage, and as his whole world destabilizes, he finds himself turning to the most unlikely person for help. He approaches the thoroughfare in a daze, drugged off the powerful sensation of gravity tugging him home, and the shadowy figure he spots halfway down doesn’t concern him for half a minute or so while he happily indulges himself. Elizabeth is a debut author from the north of England. With a long-time passion for writing, at eight years old she attempted to write and illustrated her very own Goosebumps books, as well as an ongoing series of solve-it-yourself mysteries, and several stories about a single lady living her life with an unfortunate perm. One day she hopes that practice will pay off, but until then she’s been recently adopted by two cats and gets by working for the government. NineStar Press is hosting a Rafflecopter Giveaway to run for the duration of the tour. Prizes will include a $10 Amazon Gift Card and a credit for a free book from the NineStar Press website. Must be 18 years of age or older to enter. Link and prizes provided by NineStar Press. This entry was posted in Book Giveaways, Book Reviews, Book Tours and Contests, Books, Contemporary fiction, eBooks, LGBTQ Book Reviews, M/M Book Reviews, M/M Contemporary Fiction, M/M Fiction, Uncategorized and tagged author Elizabeth Wilde, Defiant Loyalties by Elizabeth Wilde, Elizabeth Wilde interview, first novel, gay, m/m action suspense, NineStar Press, Romantic Suspense. Jefferson Blythe, Esquire is simply something new and yet totally Josh Lanyon at the same time. A new adult story told from the point of view of Jeff Blythe, a young man fleeing across the ocean from an expected marriage he knew was wrong for both of them. With his grandfather’s heavily noted (and need we say outdated) 1960 copy of Esquire’s Europe in Style in hand, Jeff decides to tour Europe using that as his guide. Oh, the naivete’. And yes, it all starts going disastrously awry from the start, ala Josh Lanyon style. One of the elements that I have always loved about Lanyon’s style is the way the author combines humor with bleak reality. The main character is often at their lowest point and yet some small bit of humor or a slight funny line of dialog will slide into the moment, making it still real but more human and a tad lighter. It happens here right at the start when Jeff goes from plane, making his way laboriously to the place where he expects to stay. Its a fight all the way and when he gets there? More awfulness ensues…to our shock and hilarity. But that start is our introduction to Jeff Blythe. We see the start of his learning process and the beginning of what will be an exponential tour of growth as he learns about himself, who he wants to be and who he wants to be with. That would be George, a former friend who now lives in London and isn’t exactly who he tells Jeff, or “Jefferson” as George calls him, exactly who he seems to be. What follows is a series of mishaps, investigations, theft, and all sorts of things criminal across Europe in increasing degrees of seriousness until Jeff is finally involved in murder. There is a pattern here that Lanyon lays out for Jefferson and the reader. Things start to unfold, events happen, Jefferson and George try to move forward and Jefferson leaves to another part of Europe while growing emotionally, criminals follow as do more threatening events, Jefferson grows increasingly resourceful and independent…and the story just gets better. I won’t spoil it further. I did find myself thinking fondly about those wonderful 60’s films with Audrey Hepburn, Cary Grant, superb background music, thieves playing out across Europe with their clever dialog. But there was no self discovery in those films as there is here, no Jefferson Blythe to adore and rejoice in as he realizes he is resourceful, gay and knows exactly who it is he loves. I want more Jefferson Blythe, I really do. I did waver a bit about that ending. Did I love it? Wish it was longer? Finally I decided it was the perfect way for Jefferson Blythe to end his journey. At least for the moment. 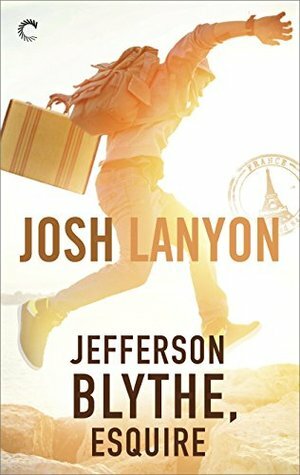 I loved this story and hope that Josh Lanyon takes more adventures in new adult novels. I highly recommend this story and author. Cover art captures the essence of the character and story. Lovely. This entry was posted in Book Reviews, Books, Contemporary fiction, eBooks, LGBTQ Book Reviews, M/M Book Reviews, M/M Contemporary Fiction, M/M Fiction, M/M Romance, Uncategorized and tagged A MelanieM Highly Recommended Read, A MelanieM Review: Jefferson Blythe, author Josh Lanyon, Carina Press, Esquire by Josh Lanyon, Jefferson Blythe, LGBTQIA New Adult Fiction, m/m action suspense, m/m mystery romance, M/M New Adult Fiction Story. This entry was posted in Book Giveaways, Book Reviews, Books, eBooks, LGBTQ Book Reviews, M/M Book Reviews, M/M Contemporary Fiction, M/M Fiction, M/M Romance and tagged a Pride Promotions Book Blast and Contest, Flesh Market by Kate Lowell, m/m action suspense, M/M Crime Thriller, Release Day for Flesh Market by Kate Lowell. Sandrine Gasq-Dion Talks M/M Romance, Inspiration and Fret! A lot of people ask me the same question all the time, why male romance? This whole journey began in 2010 while I was watching a soap opera. The gay couple on the show was written so beautifully, I fell in love with them immediately. I began writing fan fiction once the show was cancelled and posted a chapter a day. For two years I wrote stories on the fan site until one day, an avid reader told me I should publish a book. I wrote A Marked Man a few months later and then three more books after that. I sent A Marked Man to a few publishing houses and one of them was very interested. After checking out their offer, I was pointed towards Kindle Direct Publishing and decided to go that route. I’ve written thirty-three books and I have no plans to stop. I have a few more books in the Assassin/Shifters and about 7 more in the Olympians. I also have two more books in The Men of Manhattan Series plus the five in Rock Series. I am panning one more book in the Angel series to follow up with Second Time Around and Gabriel’s Fall. The Idea of FRET came when another author wanted to do an anthology about Rockers/ Actors. Well, my mind jumped all over that and FRET was born. Writing FRET was so much fun as I was hanging out with a band in Flagstaff and got to hear all about their touring life. I am still taking drum lessons and will begin guitar lessons again soon. I now live in the town I’m writing about and love it! Stay tuned for much, much more!! Blurb: Former Navy SEAL Axel Blaze lives a solitary life. He doesn’t do emotions, and he doesn’t do babysitting. Used to being on his own, his job consists of Wetwork (a charming term coined by the KGB) for his former Master Chief, Mac. When an out-of-the-ordinary job lands on his doorstep, Axel heads down a path that includes a famous heavy metal rock band and one quiet, vulnerable, guitar-shredding virtuoso named Gareth Wolf. Enter Axel Blaze. Against his better judgment, the big man takes the job to protect the shy musician. The more time he spends with Gareth Wolf, the more he admires the man. Where’s a simple assassination when you need one? The situation becomes more volatile for each man as the attempts on Gareth escalate just as Axel finds himself falling for the quiet lead guitarist. “Oh for fucks sake.” I arched a brow. Best-selling author, Sandrine (Sandy) was born in Inglewood, California. Raised by “Old School” French parents, she later moved to Tucson, AZ. It was there that writing became a hobby. Always told she had a great imagination, Sandy wrote short stories for her friends in High School. In college, she took more writing classes while working on her Criminal Justice degree, but it wasn’t until a soap opera caught her eye that she got involved in male on male romances. 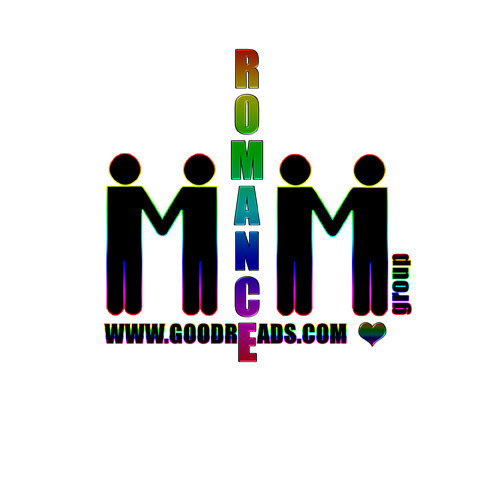 On the advice of a friend, Sandy dipped her toes into the world of M/M Romance. Sandy takes the writing seriously and has had countless conversations with gay men as well as hours of research. She’s been involved with the military in one way or another for over twenty years, and has a great deal of respect for our men in uniform. She’s traveled the world, but has finally returned to Arizona. Winner’s Prize: FRET personalized T-Shirts!! This entry was posted in Book Reviews, Book Tours and Contests, Books, Contemporary fiction, eBooks, LGBTQ Book Reviews, M/M Book Reviews, M/M Contemporary Fiction, M/M Fiction, M/M Romance, Uncategorized and tagged author Sandrine Gasq-Dion, Creative Minds Promotions Tour, Fret by Sandrine Gasq- Dion, gay rockers and the men who protect them, m/m action suspense.